Every Tuesday, hoards of new singles, EPs and LPs appear on iTunes, Amazon and in stores everywhere, and a new sales week begins. Each week I post what I’ve bought, sometimes with tacit recommendation and sometimes with the hesitation of an experimenter. If you have any opinions, comments, or suggestions about my weekly picks, or care to share what you're buying and why, please do so in the comments! Kimberly Cole had one of the most surprising sleeper hits of 2010 with her extraordinary eleventh-hour debut album Bad Girls Club, the first release on the Oxygen Network's new label imprint and tie-in to the television show of the same name. Unfortunately the brand new distributor did little promotion of the LP, not even releasing a second single to follow the cult hit "Smack You," so while the brand gets our thanks for allowing Cole a full-length platform to show off her considerable stuff, it's thrilling to see some new material and a new label. Cole has teamed up with house music icon Eddie Amador (and silent partner-in-crime Jeeve) to produce this immense single, part pop, part house, with some dubstep and a solid feature verse by brand new act Garza. I'll have more on this later today as I'll be talking about the new single this morning with Cole herself, but don't wait another moment to get your hands on this incredible club single. A few weeks back I was fooled thanks to my hastiness into buying what I thought was the song "Mr. Saxobeat" I had seen on the Billboard Dance Charts, but it turned out to be an irresponsibly promoted knockoff. In my act of redemption I acquired the correct song late last week, by Alexandra Stan, and am I glad I did because it's been on repeat ever since. The Romanian singer looks to be following up this ridiculously catchy dance hit with a full LP sometime this fall. There are several versions of this track available on iTunes, some for $1.29 and others for 99 cents, and the Amazon mp3 store has an extended, 4+ minute cut for $.99 as well, so look before you purchase! I always enjoy the Billboard Dance charts more than any others because they're unpredictable and always have a good number of songs and artists from outside the Pop Airplay country club, so occasionally I simply go through the Dance Club Play or Dance Airplay charts and check out those I don't know on YouTube or elsewhere to see if any of them grab me. Once in a while I uncover a gem that way that I'd never have encountered otherwise, such as this thoroughly entertaining single by emerging singer Yenn. The artist also happens to be of Asian descent, an elusive breed of pop artist for which I am always on the lookout, and she does not disappoint; it likely would have dominated the repeat button had I not discovered it alongside "Mr. Saxobeat," although it's still racked up a good deal of plays on my iPod. Cher Lloyd was a controversial finalist on the seventh season of The X Factor in the UK, and though she ultimately finished fourth, from what I've gleaned it seems her real victory was in being one of the best reality show characters of all time (think Jade from America's Next Top Model). Perhaps because the winner of the series was a Lee Dewyze-style yawnfest, or perhaps for the same reason the X Factor judges pulled out a whole mess of new tricks to keep her on the show as long as they had power to, Lloyd signed to a prominent label and has put together a debut album with the help of such names as RedOne, Busta Rhymes and Mike Posner, to be released later this month in the UK. 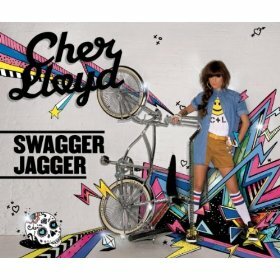 The lead single "Swagger Jagger," a rap/sung hybrid produced by Diplo, is a sassy retort to the "haters" who tend to spring up around such a dramatic and often ridiculous 18 year old (unlike Maroon 5's recent single, the tune is not actually a reference to the Rolling Stones frontman; in American vernacular the title refers to "one who jacks another's swagger"), which I bought sound unheard because of its likely newsworthiness. The timing of my exposure to pop music and subsequent growth as a fan means I remember R&B star Monica for "For You I Will" from Space Jam, the Brandy duet "The Boy Is Mine," and, my favorite, the 2001 single "Just Another Girl" from the dreadful Chris Rock movie Down to Earth (which I never saw). 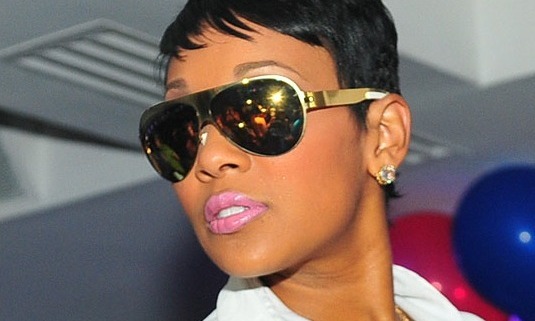 However, Monica was one of the great and most respected R&B artists of the '90s, and her 2010 comeback album was relatively well received even if I found it not my cup of tea. Turns out that this, her lead single to upcoming album New Life, was released a few weeks ago, but it just appeared on iTunes and the reviews and preview clip suggested a throwback to the lightweight, upbeat R&B of the '90s so I picked it up. Fun fact: this is the track that made headlines when Voletta Wallace, mother of the late Notorious B.I.G., revoked the rights to one of his songs that had been sampled by Lil' Kim (the murdered rapper's former flame), and on the final cut her lines have been removed entirely. I really enjoy Dave Aude's work, and his latest club single is shooting up the Dance Club Play chart, so I thought I'd pick it up. There's a lot of Diplo coming out these days, what with his becoming the go-to producer for adventurous female solo acts who want something with an edge (Beyoncé, Nicola Roberts, Cher Lloyd, etc.) and his work with his record label MadDecent. And that's just fine by me. 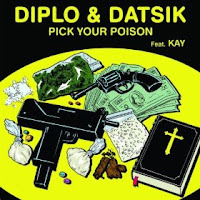 I picked this one up sound unheard as well based on two factors: first, I have a particular fondness for Diplo...let's just say "aesthetically," and secondly, the featured artist Kay will come up again in a few weeks in conjunction with a different project.